Get Joe's outstandiing book, "Hangar Flying", about his career as a Korean War fighter pilot and SAC bomber pilot. Also included in this book is his recollection of the Thule Greenland crash of the nuclear-armed B-52, of which he was a crew-member. I have purchased this book, and it is fascinating reading. I arrived, with my family, in late October 1964. While checking in to my squadron, an OEI team hit. I spent the next week staying at home playing with Momma (and the kids) and avoiding the inspectors. Loring was a great base, great spirit, and colder than a witch's _ _ _. Alert facility was over the bowling alley with the "Tight Pants League" performing nightly. Eighteen months later, I got my southern assignment...Plattsburgh. The Saturday following the ORI of 1964, was an Armed Forces Day open house. My family got to inspect a B-52 inside and out. I mentioned to the co-pilot and navigator at the display aircraft that I thought there ws a B-47 inside (The B-52 was the box the B-47 came in). The following Monday, I was assigned my new crew. Guess who??? That same co-pilot and navigator. Incidentally, that co-pilot, Martin J. "Rip" Ryan eventually became a Major General and Division Commander over Loring. The movers who packed my household goods hit the side of my car with their truck as they were leaving. Luckilly it was drivable, but I had to drive to Plattsburgh and then on leave with a caved in left door. B-52 Crew commander and Chief of Safety at Plattsburgh. Retired 30 Nov 70 and moved to Florida. Insurance claims adjuster/examiner/supervisor with Allstate and USAA. Retired again in '86. Lived in Tampa, Fl, San Antonio, TX, Hot Springs Village, AR and back to Florida. 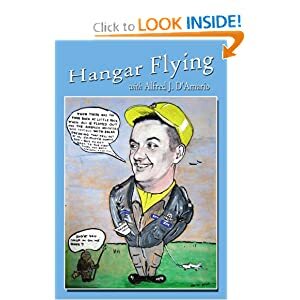 Published a book, Hangar Flying, about 20 years of the "moments of stark panic" that punctuate the hours of boredom in a flying career. Play golf, sing karaoke and travel. Almost 82 years old and having a ball. For 20 years I lived my life's ambition and got paid for it. What could be better than that?? ?